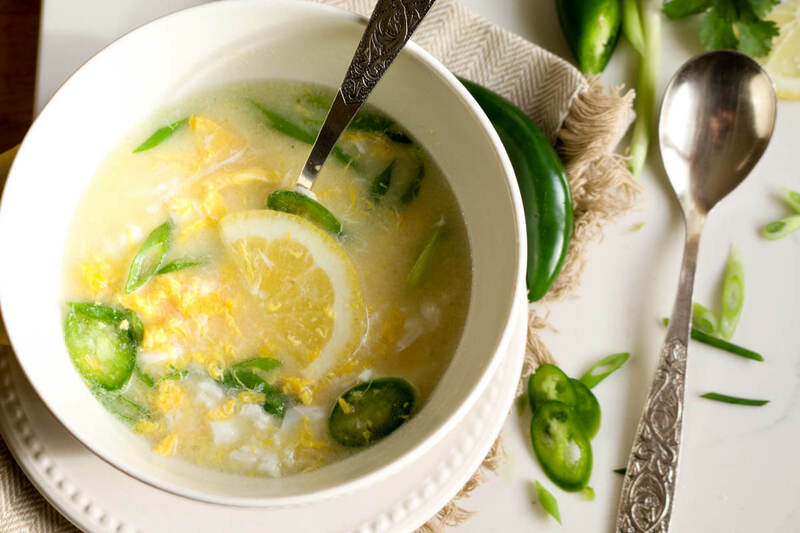 This Keto Egg Drop Soup is rich in nutrition and healthy fats. 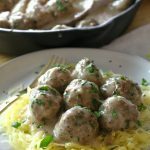 It doesn’t have a thickener making this an easy Paleo, Whole30, or low carb breakfast, lunch or dinner. Egg Drop Soup is a total comfort food. Traditional Asian recipes typically call for a thickener such as corn starch. 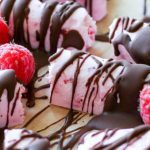 This version has no thickeners and is much quicker to prepare. But there’s really no wrong way to eat Egg Drop Soup, provided that only clean ingredients are used. Everything from fish sauce to ginger to garlic can be used to flavor the soup. Some recipes use whole eggs while others only whites. 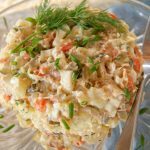 I suppose a lot of these variants depend on your own personal preferences and in my current busy season, my preference is simple, easy and flavorful. I have to admit, the best part of this soup is the creaminess from coconut milk. 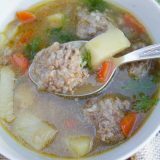 It adds more texture and richness to this simple soup. 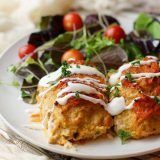 You can add heavy cream but to keep it Paleo and Whole30, coconut milk is preferred. 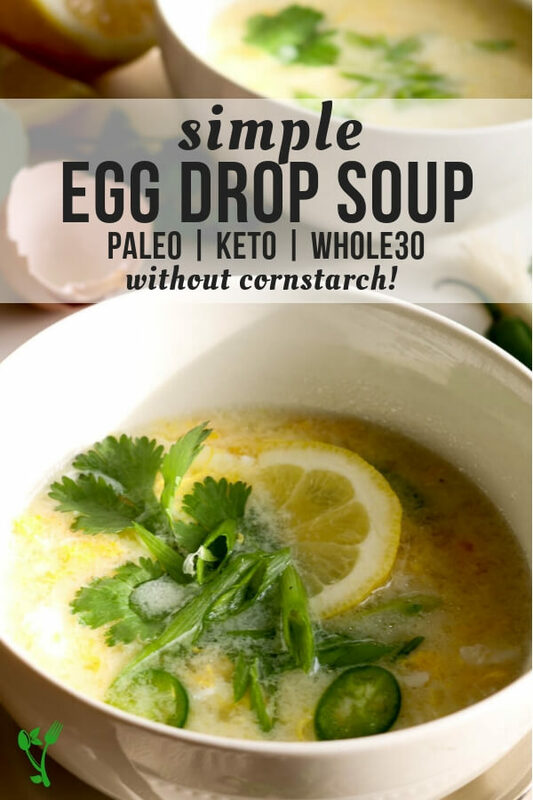 This Keto Egg Drop Soup is rich in nutritious bone broth, pastured eggs and a handful of green add-ins. That cup of coconut milk is amazing for those healthy fats. Don’t worry, the coconut flavor is very subtle but adds creaminess and richness to the soup like no other. Sometimes I’ll add butter instead (in addition?) to the coconut milk. There’s really no wrong way to eat egg drop soup. 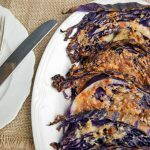 You can also add leftover roast chicken or your favorite veggies for additional sustenance. Now let’s talk about the eggs. Traditional Egg Drop Soup in most Asian places have very thin and wispy egg ribbons. There’s a fool proof technique to achieve that. However, I personally don’t mind the chunky eggs in my egg drop soup. Especially if it saves me time and dishes! I crack the eggs directly into the stockpot and quickly whisk, one egg at a time. Saves time, and an extra dishes to wash.
Sidenote: I use the same method to add eggs to this Potato & Sorrel Soup. However, should you prefer the ribbon like eggs the key is to whisk it separately in a small bowl with a fork and slowly, in a steady stream pour it into the boiling broth as you stir the soup. The eggs will cook on contact with the hot broth even off heat. 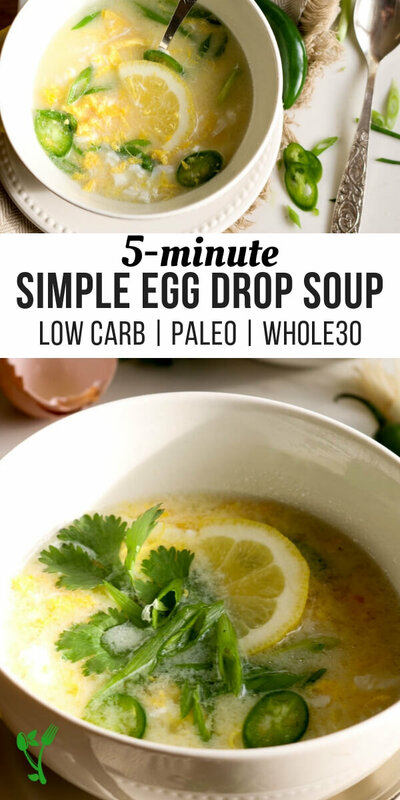 Keto Egg Drop Soup in 5 Minutes! 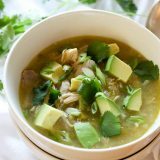 Simple yet full of nutrition with bone broth and healthy fats. In a small saucepan, bring bone broth to a boil. Take off heat and add eggs one at a time, whisking vigorously after each egg. For wispy eggs: whisk eggs separately in a small bowl and gently pour into the pot, stirring constantly. The eggs will cook on contact with the hot broth even off heat. Season with salt and pepper. 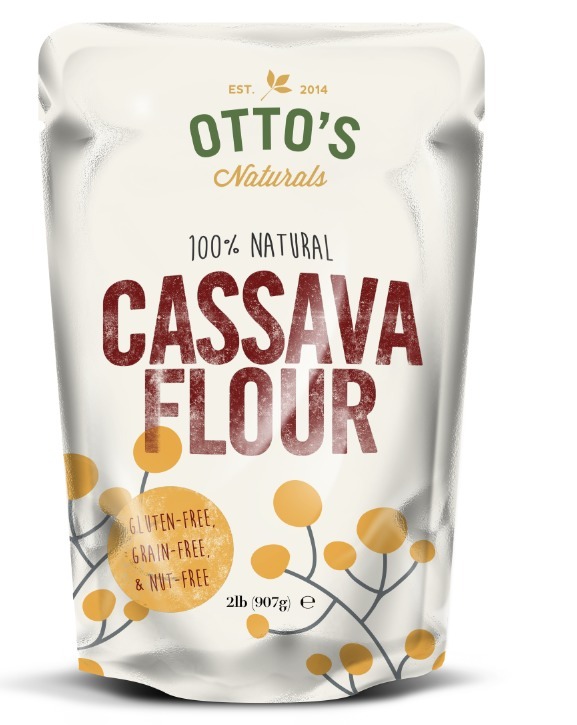 Add coconut milk is using. 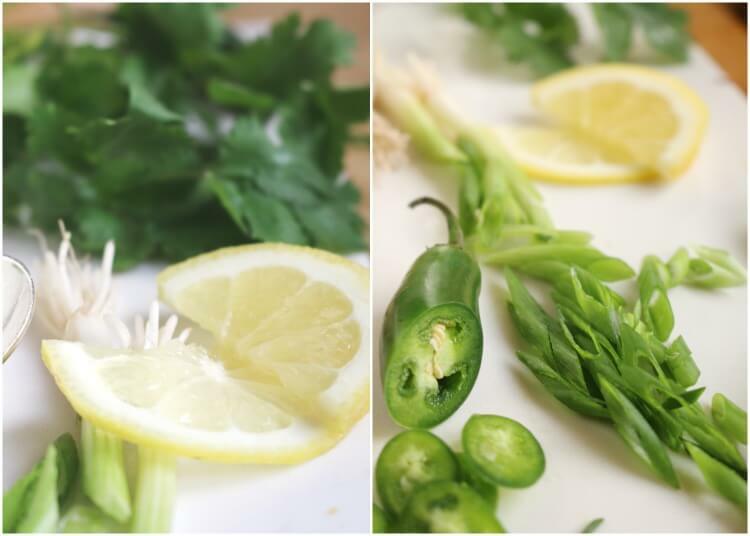 Season with cilantro, green onions and jalapenos and a slice of lemon. 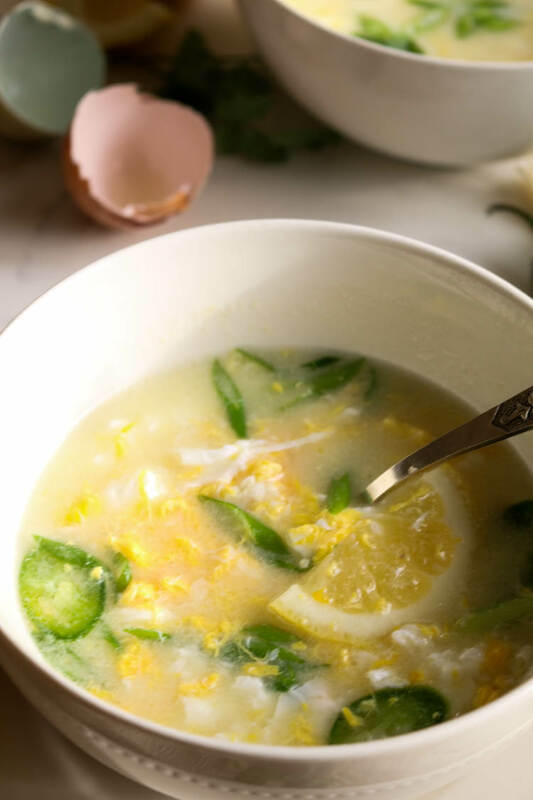 What would you garnish this Keto Egg Drop Soup with? Egg drop soup is such a favorite of mine! Agreed! It’s delicious and simple. 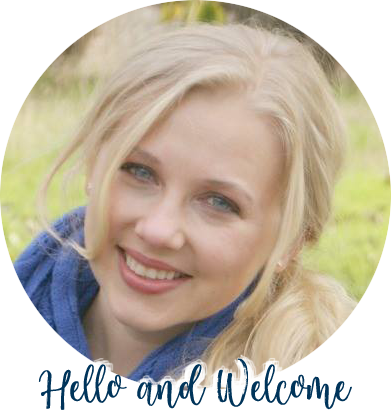 This is so lovely, simple, and nourishing! 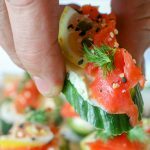 The perfect quick lunch for my little ones at home – thank you for the great idea! Isn’t it? And so healthy too! This is lovely! My husband loves egg drop soup! Love that spicy kick with the jalapeños, that’s right up his alley too. The jalapenos are a must! Wow, I love the jalapenos and lemon for garnish!!! I have never put coconut milk in mine. 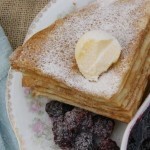 Sounds so creamy and delish! Try it! 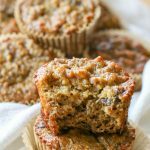 It doesn’t give coconutty flavor at all but adds richness. This looks so simple yet so full of nourishment. And light, which is something I am craving now that the days are getting warmer here. Will have to give it a try! Thanks Michele. Hope you enjoy! 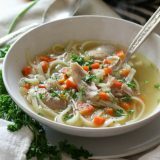 One of my favorite soups, so simple but so good! Agree Sylvie. Such a lovely soup. Love the addition of the coconut milk. Thanks Anna. Love the creaminess it gives. Oh, I’ve never made homemade egg drop soup before. This looks super simple & easy! You’re missing out. 😉 Hope you get to make some soon. Yes. It’s perfect for that. And super easy to make. 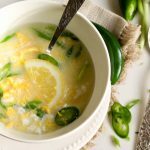 I always forget about egg drop soup – love how simple this is, and my husband would really love it with jalapenos on top! Great idea! It’s a lost gem at times but we could all use a little bit more egg drop soup. Egg drop soup was my standard order whenever my parents took me out for Chinese as a child. 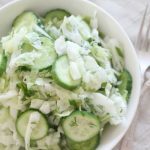 I definitely need to try this gorgeous healthy version! Love those childhood meals recreated real food style! Egg drop soup is certainly a favorite in my household. It is a must to our daily meal ! YUM !! 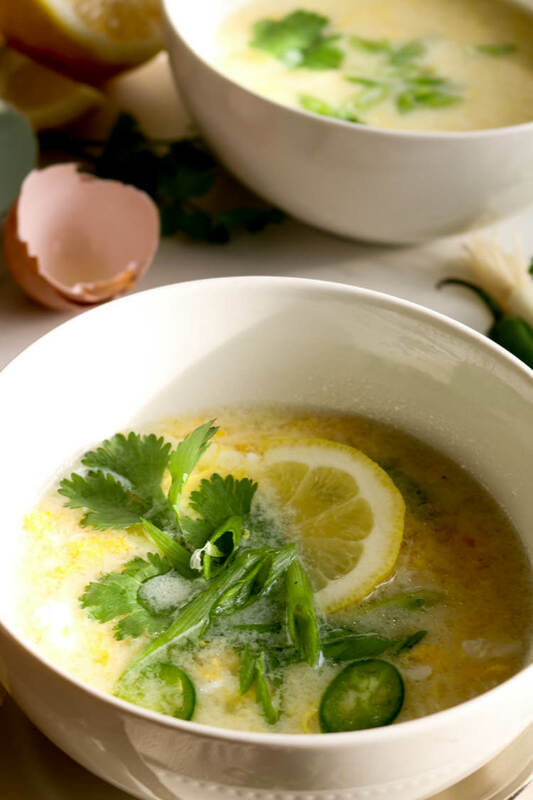 What a simple, healthy and beautiful egg drop soup recipe. Sounds tasty! Oh man I haven’t had this since the last time I ate takeout Chinese… AKA in YEARS! Gonna have to try this. 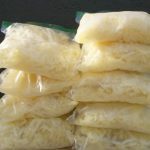 I have never had egg drop soup, but your version looks delicious! 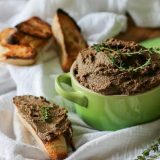 Nourishing and simple- I love it! I love egg drop soup- especially for breakfast. I have to try your recipe. Thanks! I love egg drop soup but haven’t made it myself. Can’t wait to try this! 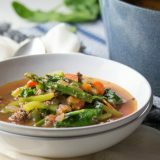 The simpler the better when it comes to this soup – you’re so right! Perfect for spring allergies too! I’ve never been a Chinese fan so I’ve never tried egg drop soup. 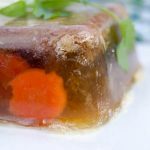 This is completely different to other Chinese flavours and I always love recipes I can add more bone broth to my diet. I love me some egg drop soup. I’ll have to try this soon. What a great way to have a Chinese favorite at home. Great job! Wow! This looks so good. I’m going to add this one to my “Take Out Nights” menu! We give this real food rendition of a Chinese classic 5 stars and think we need to try it soon. You’re welcome Savannah. 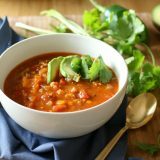 We love this soup – enjoy!